In 2020, worldwide sales of augmented reality (AR), virtual reality (VR) and mixed reality (MR) devices are expected to reach 84.7 billion U.S. dollars. Today, virtual reality is used in a wide range of fields and careers and is a great tool for putting ourselves in a different environment instead of physically being present when the conditions are not ideal. In a similar manner, VR headsets are used to bring hospitalized children’s home life to them so they can enjoy special occasions like a birthday celebration or a football game. Although hospitalized, young patients can relax and enjoy their lives. In addition, Virtual Reality is greatly changing rehabilitation. For people who have suffered from a brain injury or a stroke, time is valuable. The sooner a patient can start rehabilitation, the better chances are for recovering lost functions. When virtual reality is the topic, the first thought on everyone’s mind is video games. But that’s not all virtual reality can do in the entertainment industry. For example, IMAX theatres are taking in the idea of VR to upgrade the cinematic experience. Movie premiere virtual reality hubs are in the works. On top of that, VR cinemas are being established, where you can sit in a room with relaxing chairs while the head mount displays take the viewer to an awe-inspiring virtual reality world. Theme parks are catching on to the VR craze as well. Many roller coasters at various theme parks are in the works of mastering a roller coaster ride that is paired with a VR headset allowing riders to experience their favorite ride on a whole new level. Riders might be riding on the back of a jumping humpback whale or other fantastical environments, in a far more convincing and immersive fashion than could be achieved by even the best mechanics. Looking past TV and theme parks, VR is also colliding with the music scene. Of course attending the real version is better for many reasons, but VR concerts open a great window of opportunity for times you can’t make the real show. Better than nothing, right? The world is very excited to see where VR takes sports entertainment. Imagine being able to move around the court and get different views of your favorite basketball game. Virtual reality is making this possible. The cost of attending games continues to rise, and trends show that fans watching from home do not usually watch games in their entirety. Teams and entire leagues are working on ways to engage fans in new, exciting ways that traditional TV can’t achieve. VR headsets will make watching sports as personalized as possible. A sports fan will be able to replay moments, see game statistics, make GIFs to share with Twitter followers or other limitless options. Tech teams and sports companies are working together to enhance fan experiences through VR. Virtual reality stations are filling stadiums where fans can stop by and go behind the scenes or hang out in the exclusive locker room. Seeing the team close up and in 360 is a really exciting thing for avid fans, encouraging them to actually attend the games to take place in these activities. For example, Making its debut recently at the Daytona NASCAR, virtual reality experience simulates an on-track experience for fans. Fans are able to experience what it’s like to drive a race car and experience the action. Attendees at the US Open were able to try out a virtual reality experience, trying to return a serve from Maria Sharapova. Virtual reality has great potential for education applications. Schools are using VR headsets to take students on more frequent field trips. For example, the Smithsonian museum in Washington D.C. has a variety of virtual tours students across the country can now access. College campuses are also using virtual reality for recruitment. 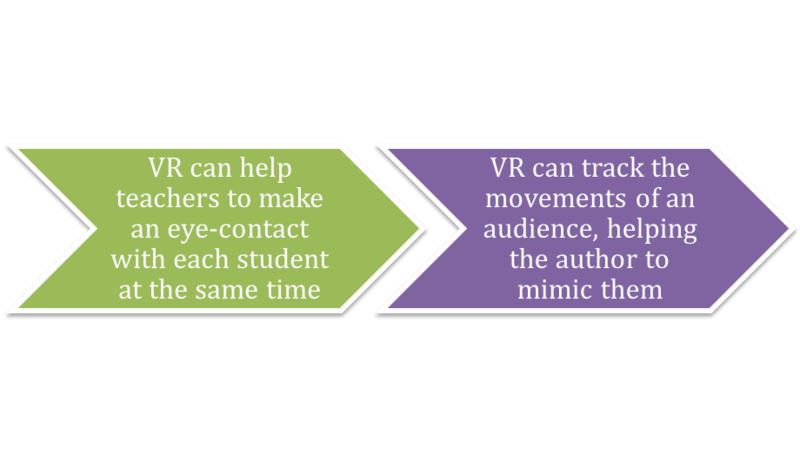 Before a student plans a lengthy visit, a VR headset can give them an experience and an experiences at the school to help the potential student decide if the campus falls into what they are looking for. This is also great for potential athletes, who can put on a VR headset and see what it would be like to play at that campus with a tour of the stadium and locker room. Schools are teaching students concepts with VR tools including from architecture design to and therapeutic exercises, greatly increasing the wealth of practical knowledge a student has the capability to learn. Additionally, a student can benefit more from seeing and hearing a lesson rather than a lecture. This is where virtual reality opens numerous possibilities for school systems. Occasionally, students need to be taken out of their classroom environment and dropped into an immersive world; one where they can swim in a coral reef full of colorful fish, visit a museum, tour the vatican or live stream with other students around the world. Virtual reality can make this happen. With such a diverse technology, the possibilities are endless. 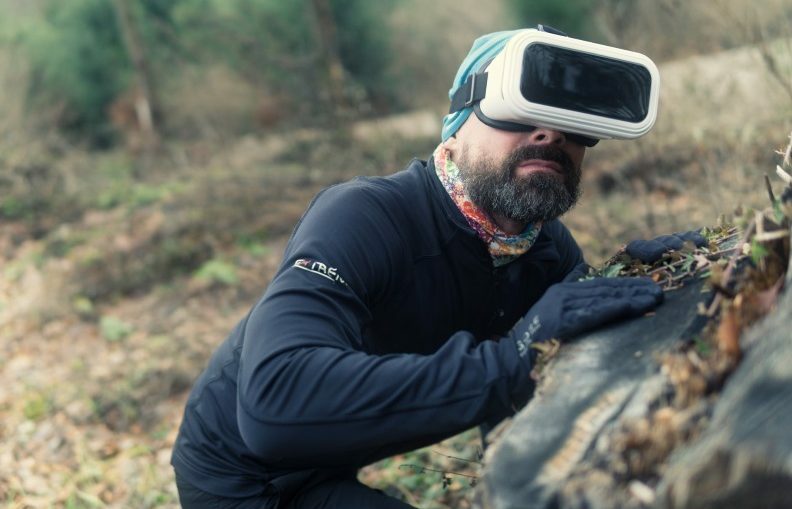 Virtual reality is bringing forth a vast array of exciting options and experiences that are applicable in our daily lives, not only through education and work, but also for destinations we may never be able to experience otherwise. This is a technology that will not to be short lived or just another trend. Virtual reality is changing our world, constantly molding to fit society and give people limitless opportunities. VR possesses immense capabilities even though the technology is in a nascent stage. However, with time, we will get to create and experiment with newer, more novel VR applications. The pace at which the industry is growing shows that the industry will soon witness pathbreaking innovation, leaving everyone astonished. The future of VR could also involve collaboration with augmented reality and IoT. We will be able to create some of the most surreal and unimaginable simulations through such and similar technology combinations and hybrids.